The online environment offers many possibilities of expression both individually as well as part of a group. Many platforms and software products offer people the tools to design their own website and receive feedback from others regarding the content they post. Interactive behavior is greatly encouraged through a variety of applications so that people can exchange ideas and participate in projects meant to make available online information more useful. Wikis and blogs mediate this interaction enabling more individuals to take a stand and express their view on things. Sharing knowledge is also one of the nobler aims of the process. A wiki is a website which enables the user to create and edit interlinked web pages. One can do this by using wiki software, a web browser and an easy markup language or aWYSIWYG text editor. A blog is a personal page an individual can create on various free blogging platforms if one is unaware of how to create it themselves. 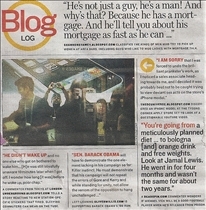 Visually, it looks like an online journal with posts appearing in reversed chronology (the latest post is shown first). A wiki is used for individual projects, but mostly for collaborative work. For instance, the free Wikipedia encyclopedia is built using wikis. Wiki pages can be created very easy and interlinked with other pages. This enables topic association so that information becomes more relevant for the targeted audience. Users can work at the same time on the same project building pages or correcting the work of others. When information is posted, it can be instantly reviewed. 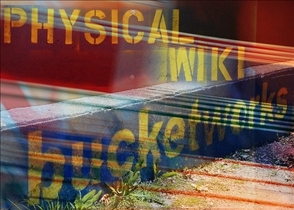 Users can insert text, pictures and links using wiki technology. A blog can help people to better express themselves, to publish content about the things they love or to promote things they create. The user can upload pictures, videos and links or insert widgets. To make it more interactive, bloggers can enable comment postings so that friends or visitors can leave feedback entries regarding the blog’s content. When a community uses wikis to create collaborative projects, they have to establish certain conventions to abide by. In the case of Wikipedia, the user needs to specify the source of its information so as to prove its validity. Another rule is that the content should refer to the topic; any material not connected can be removed by moderators. A blogger has more freedom in building his personal page. Still, if he intends to reach a certain audience, the content should reflect this. The posts need to respect intellectual property. The blogger has to request for permission to upload information from a third party. A wiki is a website enabling users to create and edit interlinked web pages. A blog is a personal online journal that an individual creates on a blogging platform. A wiki is used for collaborative projects. A blog is used for self expression or marketing strategies. Wiki users need to follow a set of rules designed for that project. A blog is expected to respect intellectual property. Which one can be edited by anyone with access to it? Wikipedia vs. Britannica: Which is best?